Once we can make it preserve for it for 6 months. 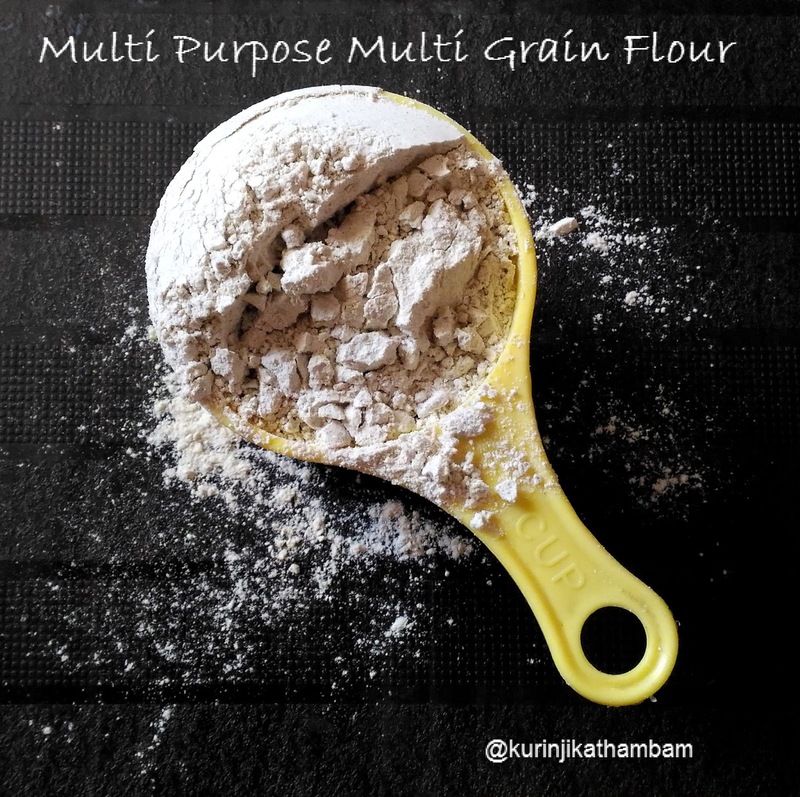 Stay tuned for the recipes with this multi grain flour. 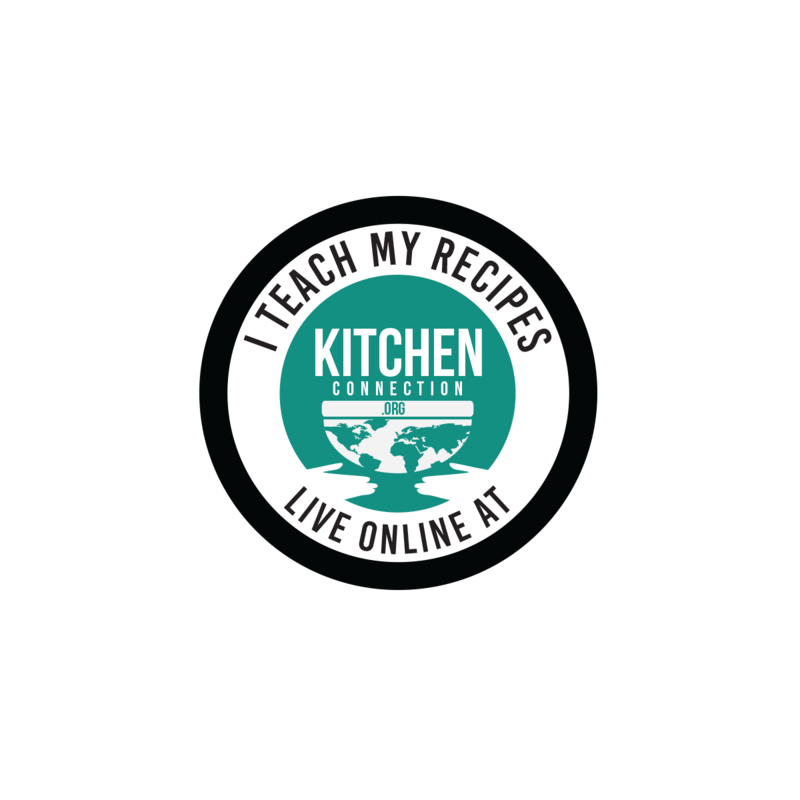 Click here for homemade powders and basics recipe. 1. 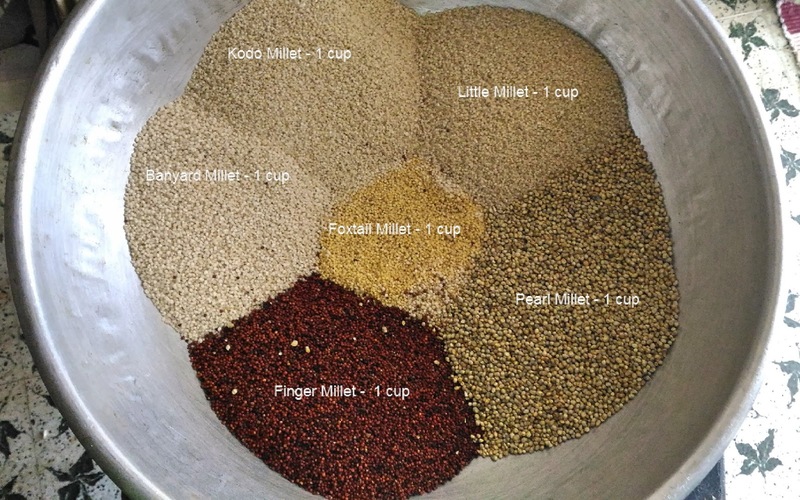 Wash all the millets together for 2 times and drain the water completely. 2. Wash all the grains and remaining rice together for 2 times and drain the water. 3. 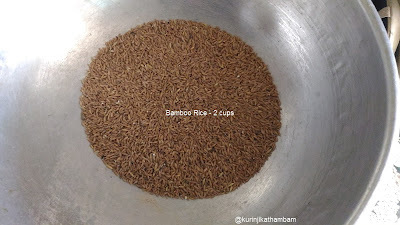 Wash uad dal, bamboo rice and whole wheat separately. Then drain the water completely. 4. 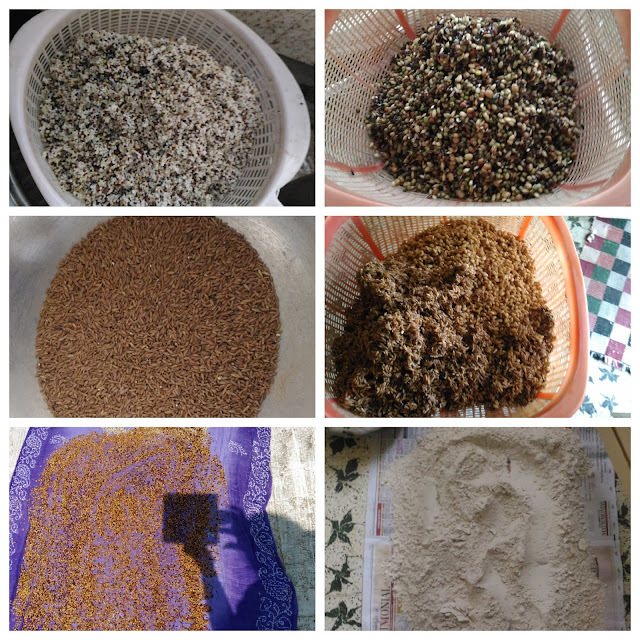 Then dry the grains under sunlight till they become crisp and without moisture. This process will take 2-3 days. It depends upon the sunlight. 5. Then grind them into a fine powder though flour mill. Allow it to cool down completely and store it in an air tight container for later use. Homemade multipurpose multigrain flour is ready! 1. 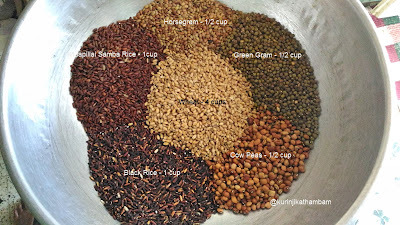 The ratio of the grains is your choice. 3. The ratio of the grains and the urad dal should be 4:1 or 3:1.